Courtesy of TAYLOR MORRISON RLTY OF FLA. Under Construction. This spectacular home will offer an open floor plan with a minimum of 12 foot ceilings, architectural detail, 3 bedrooms, plus a study and bonus room, 3 car garage, and options chosen specifically to impress. White painted cabinets in the kitchen with beautiful quartz counter tops, glass tile back splash and Caf 233; series appliances. A large 20x20 tile will be seen throughout the home with warm laminate wood in the study, bonus room and the Owner 8217;s Suite. The Gathering Room will have pocket sliding glass door that opens to an extra-large covered lanai that overlooks one the of community tranquil ponds. The home is under construction and will be ready in the Summer. Photo is of model not actual home. 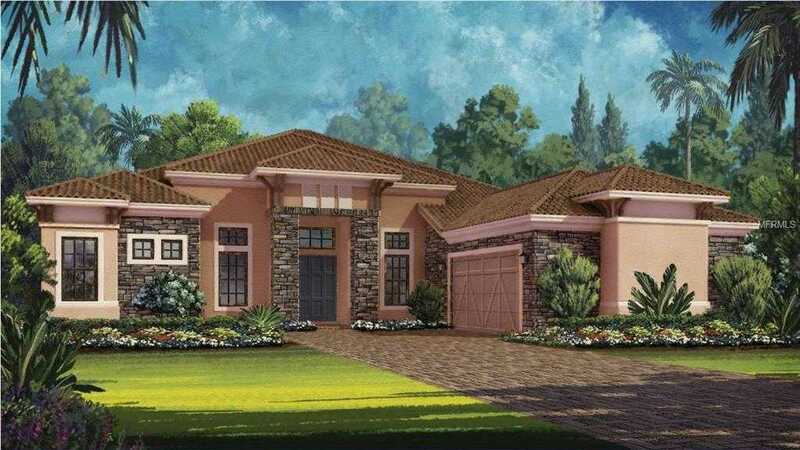 Please, send me more information on this property: MLS# A4425613 – $914,107 – 5308 Greenbrook Dr, Sarasota, FL 34238.